Zuni Street Brewing Company is the product of a friendship that has lasted over 18 years. The founders, Willy Truettner and TJ Slattery, became friends at West Middle School in southern Denver when they were twelve years old. The boys have been building their friendship on a foundation of mutual appreciation for music, beer, and the great outdoors ever since. In their college years and afterwards, Willy and TJ pursued very different educational and professional careers. Willy earned his BA in environmental policy at Western Washington University, but would discover along the way his true passion: brewing craft beer. One year after graduating college, Willy entered the Siebel Institute of Technology and studied brewing in Chicago and Munich. After finishing the program, Willy was recruited by Bell’s Brewery in Michigan where he put his training to use. After two years at Bell’s, Willy’s native state of Colorado was calling him home and he worked hard to land a rare job opening, brewing for New Belgium Brewery. During this time, TJ earned a business degree from Miami University of Ohio and went on to embrace entrepreneurial and management roles in hospitality, real estate, and healthcare. In 2014 the founders met up for a pint and to catch up on life since college. They discovered they had vastly different but highly compatible abilities. Soon a partnership formed and plans for a brewery started. Willy would brew the beer, and TJ would bring it to the people. By early 2016 the partners had found premises in the Lower Highland neighborhood of Denver. After exactly one year, the planning and buildout was completed. 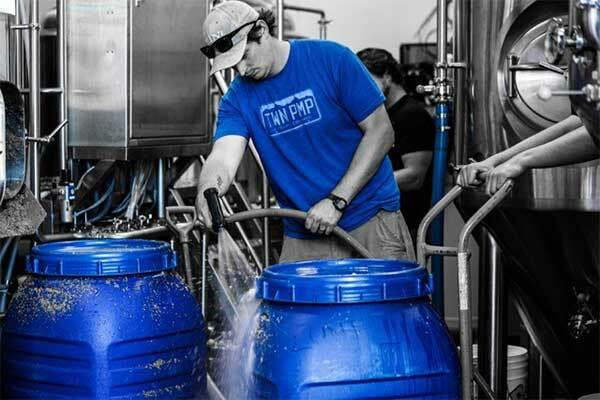 The brewery opened in March, 2017 and has been chugging along ever since.